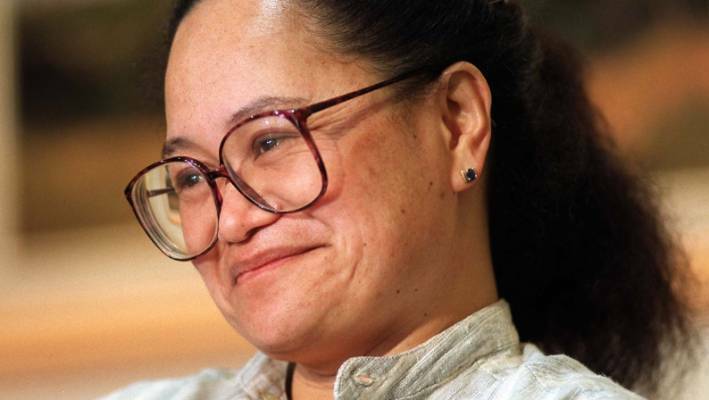 Jacinda Ardern said it was still the view of the Government that captured Kiwi nurse Louisa Akavi not be named. The Government and the Red Cross have strikingly different accounts on the decision to name New Zealand Isis hostage Louisa Akavi. 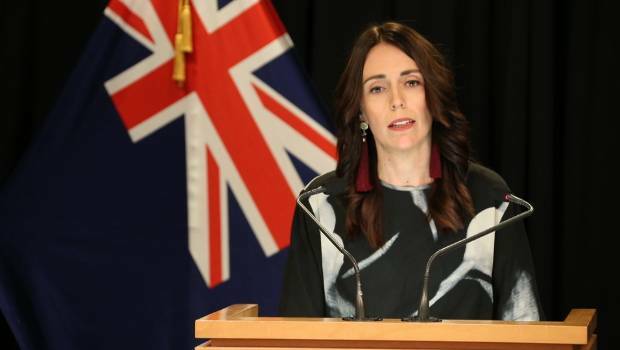 Prime Minister Jacinda Ardern repeatedly told journalists on Monday at her post-cabinet press conference that the Government's view remained that the five-and-a-half year secret of Akavi's capture remain hidden from public view to protect her life. The International Committee of the Red Cross (ICRC) went public with Akavi's name on Monday morning, breaking years of silence on the case of the Ōtaki nurse held captive in Syria. How Kiwi nurse Louisa Akavi was held captive by Islamic State since 2013 and why New Zealanders didn’t learn of her plight sooner. Ardern said her Government's position remained that this was not the right decision and this had been communicated to the ICRC. "It absolutely remains the Government's view that it would be preferable if this case was not in the public domain. For that reason I will not be commenting further on it," Ardern said. "Certainly it remained our view that it would be better if were not to be in the public domain and that was the focus and the basis of our communication [with the ICRC]." 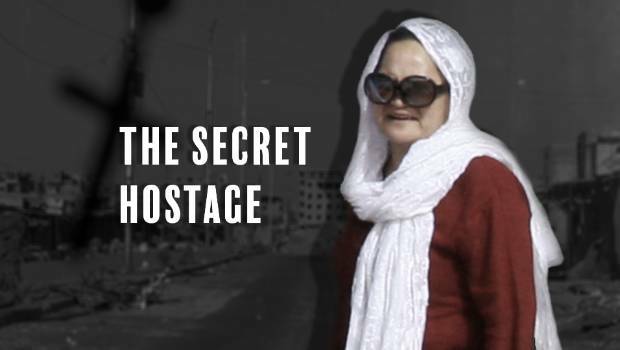 The Government has been operating under the advice that any publicity might increase the risks of Akavi being executed, like many of her fellow hostages. That advice remained in place on Monday, especially after the Christchurch terror attacks, which sparked a chilling warning from Isis about retaliation. The ICRC went public on Monday in an appeal for information to help find Akavi, who has an extraordinary record of service, returning to the frontline of conflict and war zones despite being caught up in violent situations, including a hospital massacre that slaughtered her colleagues. 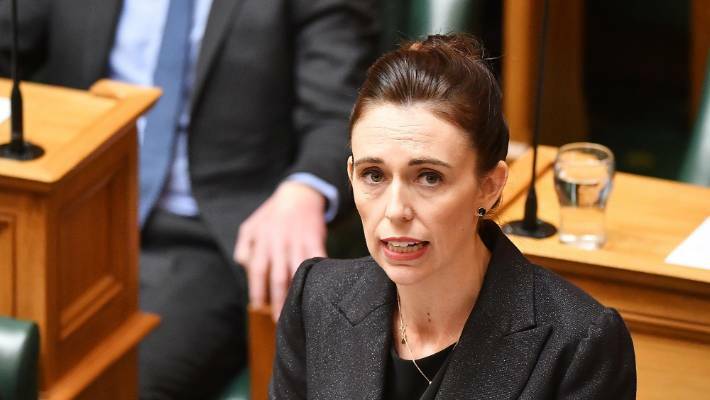 Prime Minister Jacinda Ardern refusd to comment at length on the matter, saying it was still her Government's view that Akavi should not have been named. It is believed Akavi was still being held by Isis as the end neared in the village of Baghuz, where a small band of the most fanatical Isis militants made their final stand. Stuff has confirmed that the New Zealand Government believed it had a positive identification of Akavi being alive as recently as December or January, as the remnants of Isis were holed up in a small town on the Euphrates. ICRC operations head Dominik Stillhart said he was under the impression the decision to name her had been made in "full alignment" with the New Zealand government, and expressed surprise at Ardern's comments. Louisa Akavi, a nurse from New Zealand who provided aid in Syria. "After five and a half years we would not have made that decision without the support of the New Zealand government," Stillhart said. He said it was a "big step" and there had been discussions with the government over the last five and a half weeks. A spokesman for the minister of foreign affairs said on Monday the Government had been very clear with the ICRC. The ICRC decision was made after a recent believed sighting of Akavi working in a clinic near Baghuz near the end of the last year. "With the loss of territory of the Islamic State we hoped Louisa would turn up. We went to great efforts in the north east of Syria to locate her but as of now we couldn't find her," Stillhart said. Akavi was captured in 2013 in northwest Syria, possibly by the al-Nusra front, a terror group at times allied and at times in conflict with Isis. She ended up in Isis hands and was held alongside a group of other western prisoners, including American James Foley, whose brutal beheading shocked the world. Several of these hostages were released - reportedly after their countries paid off a ransom. New Zealand and the ICRC has a firm policy against paying ransoms. Isis asked the ICRC for a "fluctuating" amount of money for Akavi, Stillhart said, from under €1 million (NZ$1.7m) to as high as €20m. For nearly six years, Akavi has been one of the most closely guarded secrets in New Zealand. The Ōtaki woman, who has had an extraordinary career as a nurse on the frontline, had ended up in the hands of the Islamic State, one of a group of western hostages held in an old oil refinery in Northern Syria under the eye of a brutal executioner known as Jihadi John. The secret of her captivity was kept by government ministers, key officials and media in New Zealand and overseas for all of that time. Ardern thanked the New Zealand media for keeping her name out of the headlines for so long. Only a select group of people was aware at the time that Isis had a New Zealand hostage in its midst and there were heightened fears for Akavi's life. The Government and ICRC have worked closely on the ground in the Middle East in the hunt to bring Akavi home over those six years. But they appear to have had a parting of the ways over the decision to name Akavi. The last known sighting of Akavi was around December 2018 or January 2019 when positive identification was made by people who had fled the fighting in Baghuz and surrounding areas. But there has been no word since. The ICRC is understood to have informed the Government about two weeks ago after Baghuz fell and the last remaining strong-holds had been cleared that it intended proactively releasing Akavi's name. Its view was that the defeat of Isis in Syria was a significant development that materially changed the call on naming her. The release took the form of a story in The New York Times, although embargoed press releases were also given to New Zealand outlets on the proviso that they did not published ahead of the Times. It's understood that Ardern is not keen to comment at length on the case for fear Isis will use the footage as part of propaganda videos. Isis prisoners and family members spoken to after they fled the encircled town had confirmed three hostages - Cantlie, the New Zealander, and an Italian Priest, Paolo Dall'Oglio, 64 - were being held there, according to the Times. None of them have been sighted since the fall of Baghuz, however, raising several possibilities. The first - which ICRC appears to be pinning its hopes on - is that Akavi is alive, but caught up in the chaos among tens of thousands of Isis women, children and fighters at displaced persons camps. Their hope is that publicity will focus attention on her and make finding her easier. The second possibility is that Akavi and the other hostages have been spirited away with Isis leader Abu Bakr-Baghdadi, who has not been seen for some time. They would provide him with ongoing leverage. The third option is that Akavi perished in the hell on earth that was Baghuz in its final days. But those who have followed her progress and extraordinary career, including 17 tours of duty, say if anyone could have survived, it would be her. It is believed Akavi shared a cell with American aid worker Kayla Mueller, whose parents told Stuff they believed the pair were close. Mueller's parents, Carl and Marsha, have told Stuff that other hostages relayed stories that suggested a special bond between the two while they were held together in Raqqa. Kayla had at one point tried to protect the older nurse, who was sick and wounded. When the pair were split up, Mueller begged that she be moved with Akavi but their jailors refused and Akavi was kept behind to work in the hospital treating Isis wounded. "We are speaking out today to publicly honour and acknowledge Louisa's, Alaa's, and Nabil's hardship and suffering," Stillhart said. Former Foreign Affairs Minister Murray McCully said that the decision not to name her had several aspects. "The strong advice we've had that her safety such as it is in these circumstances is best achieved by making sure it doesn't get into the public arena," McCully said. "At one stage there was an element of not knowing which story she had told her captors - given her Pacific Islands ethnicity she had a range of options there that others might not have had." It later became clear that she was known by Isis to be a New Zealander. "The discussions that we had with [Stuff] laid the foundations for understandings we were able to establish with other organisations in this country and abroad," McCully said. "Remarkably that's an arrangement that has held. It's not a normal feature of something as difficult as this that the media should accept this level of restraint, self-imposed, and I'm personally very grateful." He noted that these agreements extended to international media outlets and he was very grateful. "These are not just New Zealand media we are talking about. The day we won our seat on the UN security council back in October of 2014 I went back to the New Zealand mission in New York where everyone was wanting to celebrate and into a dark room to commence negotiations with one of the major news organisations in the United States to persuade them of the need for secrecy." Some international media actually published references to Akavi, but soon removed them after contact from the New Zealand government.